From 1902 to 1904 an Isolation hospital existed on the site treating mainly children during epidemics of scarlet fever, diptheria and meningitis. 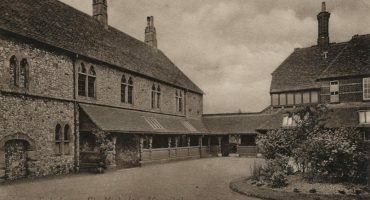 In 1904 a joint isolation hospital committee was formed with neighbouring local authorities and Old Sarum Isolation Hospital for Infectious Diseases was built near the Amesbury Road, beyond Old Sarum opening to patients in 1911-12. 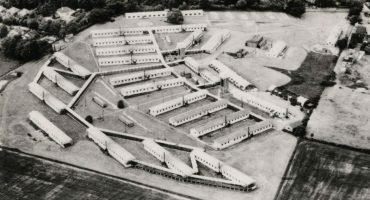 The hospital provided beds for 90 patients and was later enlarged with huts. 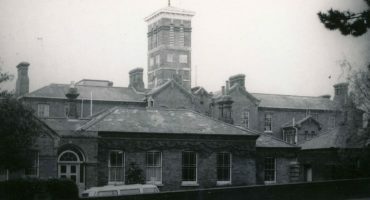 The hospital closed in 1951 and latterly the buildings were used as a centre for Adults with Learning Difficulties, before finally being demolished in 2012 to make way for a housing development. Patient registers for 1912-1914 tell a story of various outbreaks of infectious diseases across Salisbury and wider communities. Mostly treated are children with diptheria and scarlet fever. One example is a family from Kiln Road, Redlynch who were all admitted with diptheria – George Bailey (4), Elsie (9), Florence (11), Harry (14) and mother Ida (40) who all spent more than 40 days at the isolation hospital before being sent home. Early in January 1915 heavy rain resulted in three deluges of flood water affecting Fisherton Street and adjacent housing areas, even spreading over the floor of the Cathedral. The ground floors of the Infirmary were flooded too causing not only expense, but horrible conditions in the hospital. Several cases of cerebro-meningitis were admitted and isolated before removal to the Old Sarum Isolation hospital.